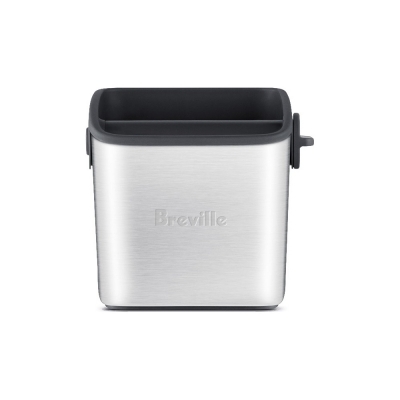 The Knock Box™ Mini is the genuine Breville coffee grind bin, designed for convenient disposal of used coffee grinds. Helps you knock out the most tightly packed coffee puck. Strike the portafilter against the knock bar for quick, easy and mess-free disposal of the coffee puck. The durable knock bar is designed for aggressive use and is removable for easy cleaning of the inner vessel. Anti-slip rubber grip for increased stability on the countertop. Works with any brand of espresso coffee machine.